In an attempt to get some preliminary research done for my thesis, which looks at the challenges faced by street children in Lebanon, I decided to spend a few weeks there this past summer. As soon as I arrived, I read an email that was going to change my summer. It was from David, a Public Information Officer at the UN’s Office for the Coordination of Humanitarian Affairs (OCHA), asking me if I was interested in producing a short film for their global humanitarian day campaign. I had met David only a day earlier, through a wonderful adjunct Professor at CU, and he decided to give me a shot at this great opportunity. OCHA was looking to showcase 5 humanitarian workers from around the world who are making a significant difference in their respective communities. After meeting with aid workers from orphanages and NGOs all over the country, I recommended Mr. John Eter who runs Home of Hope, the only organization in Lebanon that will take in non-Lebanese street children and give them a home. The small organization, which once had over 80 street children living on the premises, was forced to downsize following serious budget cuts. Yet, John refuses to close shop despite the fact that he barely has enough money to feed one small family. He takes in food, clothing and school supply donations, in addition to private contributions that he manages to find. equipment and a crew willing to help me for free. I quickly discovered how wonderfully hospitable the people in Lebanon are. I found a small crew that agreed to bring whatever equipment they could borrow and we spent one full day filming at Home of Hope. OCHA was thrilled with the film and used it as part of their global campaign. After I sent the film to John, he told me that the Ministry of Social Affairs was going to use the exposure from the campaign to try and garner more financial support for Home of Hope. and I’m honored I was a part of it. As an aspiring filmmaker, I hope to produce feature length documentaries in the future. I hope you enjoy watching it as much as I enjoyed producing it. Dâna is a second year Human Rights Masters Student at Columbia University and an aspiring filmmaker. 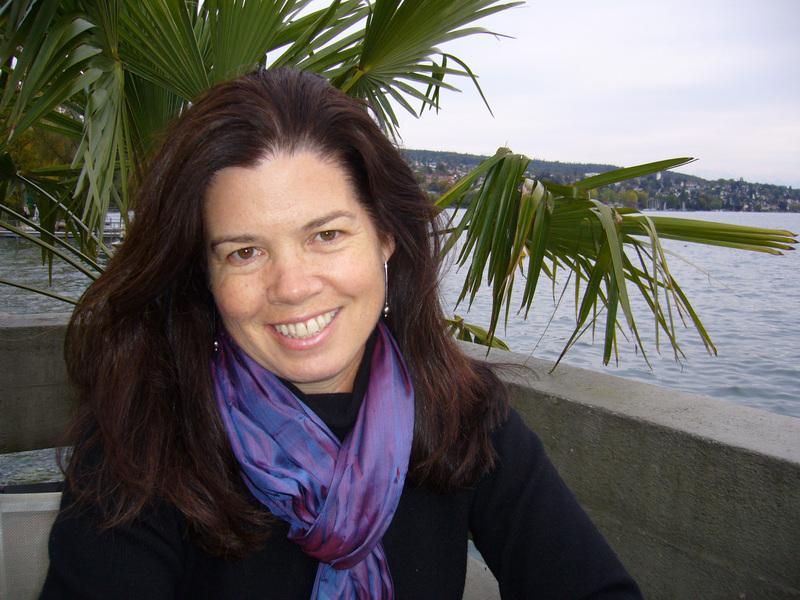 Pamela Yates is an American documentary filmmaker and co-founder of SkylightPictures, a company dedicated to creating films and digital media tools that advance awareness of human rights and the quest for justice. 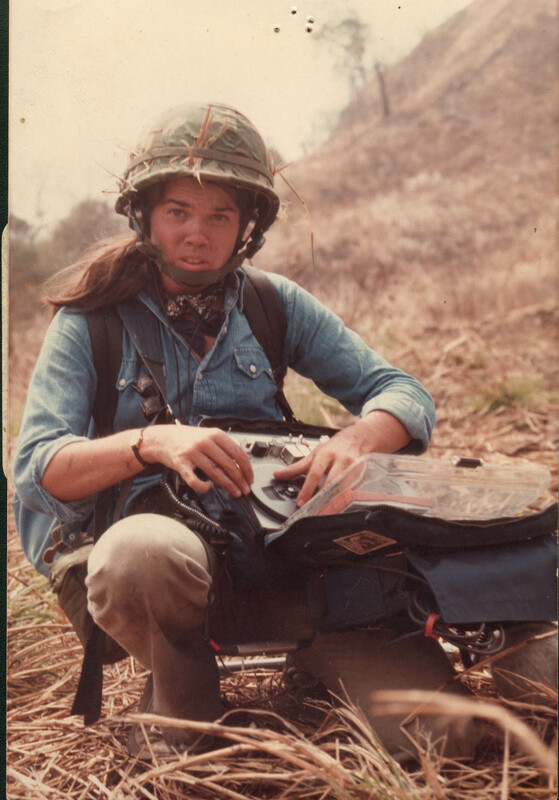 In 1982, at the age of 24, she traveled to Guatemala to shoot footage of the hidden war unfolding there between the military government and guerrilla forces. 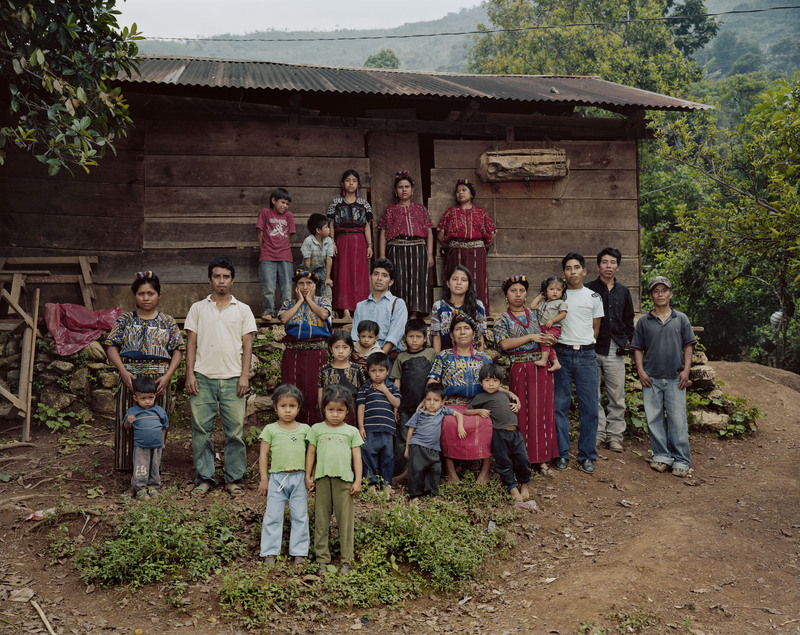 While in Guatemala, Yates also witnessed the government’s genocidal campaign being carried out against the Mayan people mostly, in which at least 200,000 individuals were killed, “disappeared” or forced into exile. Skylight Pictures used this footage to create a film called When the Mountains Tremble, which won the Special Jury Award at the 1984 Sundance Film Festival. Since then, Yates has created films on a variety of issues, including poverty and homelessness in the United States, terrorism, and the International Criminal Court. Her current Sundance offering, Granito: How To Nail a Dictator, takes viewers back to Guatemala – along with Yates herself, who is the central figure of the film. Partly a political thriller and partly Yates’ memoir on filmmaking, this feature-length documentary spans four decades to take audiences through a haunting tale of genocide and justice. In the film, Yates revisits her 1982 footage to find evidence that would be entered in an international court case to prosecute those most responsible for the genocide in Guatemala. Granito is currently up for Academy Award consideration. 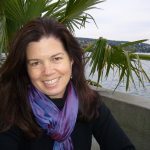 She also recently directed the development of Granito: Every Memory Matters, a transmedia project using mobile applications to gather testimonies from victims in Guatemala and members of the Guatemalan Diaspora in the U.S. I had the opportunity to talk with Pamela at a Manhattan café during a busy week for her. She was premiering Granito in New York theaters, and then shortly after our meeting she left for Los Angeles to premiere the film there. To qualify for Oscar consideration, the film had to have a commercial run for at least one week in both locations. What follows is a glimpse into our very interesting conversation in New York. What do you believe documentary films uniquely contribute to human rights struggles? I think the films and media offerings we do humanize the struggle for human rights. You probably notice that I use a lot of close-ups of faces in my films. That’s because connecting with the eyes of another person fires something in the brain that connects us as human beings. You can have brilliant, footnoted reports. You can have good television reports. But long-form documentaries take you on an emotional journey to meet people you probably would never be able to meet. It also brings the voices of the powerless and of the victims into places where they might not be invited to go. A film that had an effect on me in terms of wanting to be a filmmaker and choosing films about human rights and the quest for justice was To Kill a Mockingbird. I didn’t articulate it at the time, but now looking back, I realize it. I saw it when I was the same age as Scout, and the fact that a six-year-old could actually make a difference – and also this extreme sense of injustice that she had – had a really profound effect on me. How did you first end up coming to New York? Did you know then that you wanted to do filmmaking? You know, I always had artistic sensibilities. I’m from a part of the Appalachian Mountains where storytelling is very big. The currency in my town was how good a story you could tell, and my father was a great storyteller. So I think filmic storytelling is just an extension of that cultural richness that I took with me from this Irish-American enclave in the mountains of Pennsylvania. For When the Mountains Tremble, your 1982 film about Guatemala, you were able to interview some high-level people, including then-President Ríos Montt and top military officials. How did you get that kind of access? It took a long time and a lot of persistence. I also realized that I was at this particular moment that I could use to my advantage. President Carter had cut off military aid to the Guatemalan military because of egregious human rights violations. And then President Reagan was elected in 1980. The Guatemalans wanted him to re-open military sales to expand the counter-insurgency campaign, and he was very open to that. So they saw me and the crew as a megaphone for supporting that in the American public. What did they think you were doing there? Well, I never lie. But I also don’t always tell the full story, and in that case I was concerned for my safety and the safety of the cameraperson, Tom. Basically, we were just making a very broad statement that we wanted to tell the story of what was happening in Guatemala, and we really needed to have the military point of view. Rigoberta Menchú, an activist who went on to win the Nobel Peace Prize, is the narrator of When the Mountains Tremble. How did you come to know her? Someone brought her to our studio in New York. She was so magnificent in the way that she spoke that we decided to show her parts of the assembly of the film, because we were at this impasse, where we had all these great scenes but nothing to really hold it together as a film. She watched the assembly, then came back and for a few days looked at everything, and she wrote her part. When exactly did you film her? In 1983. She’s actually never in Guatemala, because she was in exile, but the way we filmed makes you feel like she’s a part of it. So her story is told in parallel with this story of what was going on in Guatemala. You have said that in 2003 a lawyer asked you to look through outtakes of your 1982 footage for evidence that could be used in a genocide case in the Spanish national courts. Was it through this process of revisiting your old footage that you decided to make your newest film, Granito, partly a memoir? Well first of all, the story was so circular about destinies. Rigoberta was the plaintiff that brought the case. So that was one thing. And then when we started to look through the footage, I saw myself in the footage. I’m in every single shot, either at the beginning or the end of the shot. And I realized that I could actually make the film about documentary filmmaking. I realized I could be a witness. There’s a part in Granito where you show When the Mountains Tremble to children in the Highlands area where people were killed in the 1980s – was that the first time they had seen the film? They had never seen the film before. And I got the impression from the look on a lot of the older people’s faces that they had never actually seen images like that. The guerrilla resistance was something that everybody talked about or heard about. But then to actually see it… they hadn’t seen images like that in a very long time. Do you find that younger generations’ parents haven’t really been telling them these stories? Yeah, often. Especially in the Highlands, because they’re sheltering their kids. They don’t want them to know about it. They don’t want them to lash out and put themselves in danger. And then sometimes I think people who have been persecuted feel on some level like it’s their fault and don’t want to share it with anyone else. 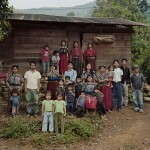 For a long time, a lot of the villages in Guatemala thought they were the only ones attacked. It was only many years later when they all came together that they realized it was this widespread and systemic plan. Granito follows the process of building a genocide case in the Spanish courts against Guatemalan military forces from the 1980s. Have people actually been arrested and convicted through this court? So on June 17th, the chief of staff under Ríos Montt was arrested and charged with genocide. No army officer in the history of Latin America has been charged with genocide, so this is a precedent. And several special forces people have been arrested and convicted. More perpetrators of those crimes have been arrested and convicted in Guatemala in the last three months than in the past 30 years. So we’re really seeing this tipping point for justice. What would you tell students who might want to get involved with your production company? Send me an email. Pamela@skylightpictures.com. Jennifer Wilmore is pursuing a Master of International Affairs at Columbia University’s School of International and Public Affairs, with a focus on human rights and a specialization in international media, advocacy and communications.